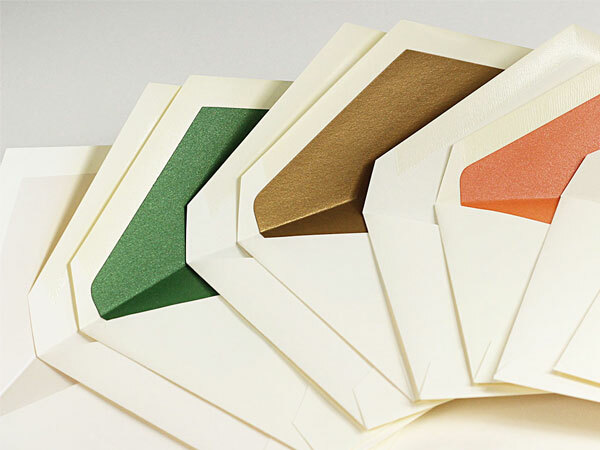 This square flap double envelope set consists of an inner envelope lined using Ebony black matte finish liner paper & unlined outer envelope. 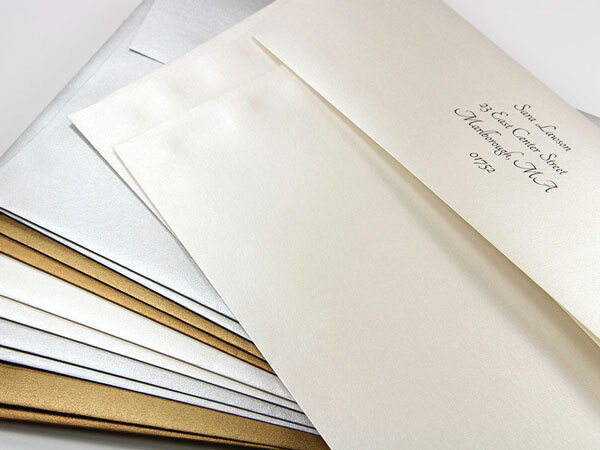 This A9/A10 set is sized to fit a 5 1/2 x 8 1/2 invitation card. 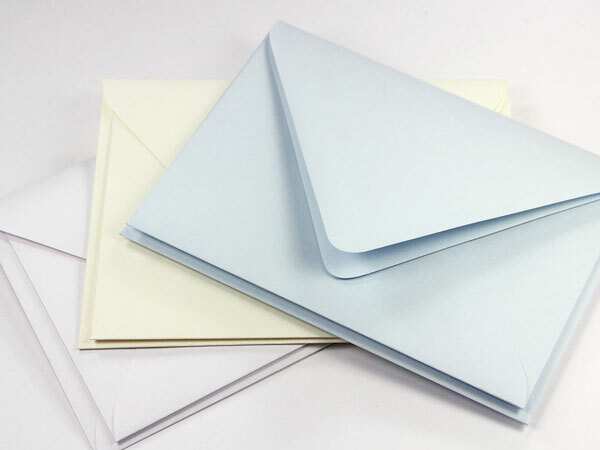 Envelopes are made using our radiant white 70b text paper. The Ebony liner extends half way down in the inner envelope. 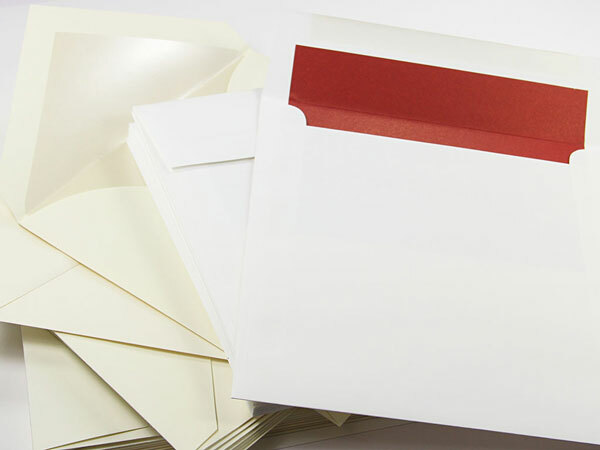 Order blank or recipient addressed using our custom print services.